Baking Goods… The Nelson Grocer’s getting saucy! It’s time to get your baking goods together… With winter well and truly upon us, there’s nothing nicer than finishing off a wintery meal with a warm sticky pudding, and a self-saucing pudding can be just the ticket. I just love a good steamed fruit pudding with custard and vanilla ice cream on a cold winter’s evening; but while these are a perfect after dinner treat, they take time and quite a bit of advance preparation. However, self-saucing puddings are just as tempting, with all the ingredients being easily found in your pantry or the baking goods aisle at Fresh Choice. A fraction of the preparation time is involved and a wide variety of possible flavours. This chocolate self-saucing pudding recipe is a quick easy treat that you can throw together with little notice – perfect when you feel you need that little something more. Tip – When you pour the liquid mixture over the batter prior to baking, pour it over the back of a dessert spoon. This will stop a hole/dent forming in the top of the batter. Preheat the oven to 180C and grease a two-litre ovenproof dish. Whisk the melted butter, eggs and milk together in a jug until smooth. Sift the flour, cocoa and baking powder into a bowl then stir in the sugar. Pour the butter mixture onto the flour and mix well to a smooth batter. Stir in the dark and milk chocolate and spoon into the prepared baking dish. 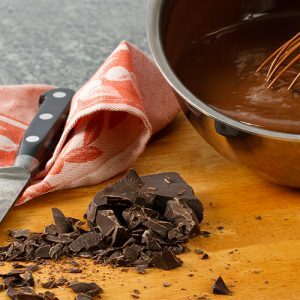 To make the sauce, bring 300ml water and the sugar to the boil in a saucepan, then add the cocoa and whisk until smooth. Pour over the top of the batter then bake for 25-30 minutes. The top of the sponge will be just firm to the touch. Thanks to local chef and Guest Blogger, Grant Dicker for this self-saucing chocolate pudding recipe – Find Grant on Facebook. Now head to Fresh Choice Nelson for your baking goods. 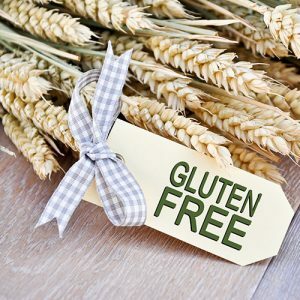 Fresh Choice Nelson welcomes back our Guest Blogger, Maddy Bellcroft; This week Maddy is talking gluten free – Find Maddy on Facebook. I really enjoy writing these columns as I often get to try new products that come in store so that I can write about them. The latest exciting new arrival comes in the form of Sorghum. I heard about this ancient gluten free grain a while ago before it was easily available in New Zealand but now Ceres Organics have released it for our eating pleasure. Sorghum is a staple food in North Eastern Africa, it has a chewy nutty texture somewhat similar to barley. it takes around fifty minutes to cook, absorbs a lot of liquid and you can soak it to reduce cooking time. I love using it as a wheat free couscous replacement. It’s also fantastic in soups or made into a salad with roasted veggies. Last night’s dinner consisted of broccoli, mandarin and roasted hazelnut salad made with this delish grain. The other product that i have been playing with is green banana flour. this is made from drying green bananas and grinding them into a flour. The result is a mild tasting wheat flour substitute that is low in sugar and is almost sixty per cent dietary fibre. You can substitute 3/4 cup of it per cup of normal flour or even add it to smoothies. I have been mixing it with other gluten free flours to make pastry and bread. The last product highlight this week is the Explore Cuisine green lentil lasagne sheets, these are vegan and gluten free and make a super yummy lasagne. Because they are made of lentils they also pack a good protein punch. Roast your favourite winter veggies with fresh herbs and then layer with the lasagne sheets, cannellini beans and Napoli sauce before baking in the oven. There are plenty more exciting things in store at Fresh Choice Nelson so come on in and get creative with your cuisine today. Organic Meat from Wash Creek. Here at Fresh Choice Nelson your organic choice just got even better, we’re now buying your organic meat direct from the farm so we can absolutely guarantee the provenance of the product from the farm to shelf. 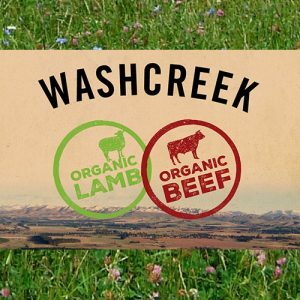 Our latest addition to your chilled meat selection comes from Wash Creek in Canterbury. They fill their bellies on organically grown forage including fruit salad pastures of chicory, clovers, lucerne and plantains. This nutrient rich mixed diet is chosen to naturally deter parasites. The good farmers at Wash Creek practice clean grazing regimes for the sheep; young lambs at their most vulnerable graze on lets which did not see lambs in the previous year. Wash Creek Hereford and Angus breed cattle are crossed with Friesian cows from local dairy farms, which means the mothers can provide huge amounts of milk to suckle their calves. Young cattle share the best quality forage with the lambs, and over winter they eat hay and brassicas. Wash Creek farm and its livestock is certified organic by BioGro. This sustainable, organic practice and clean eating gives Wash Creek meat outstanding flavour, colour and texture, which in turn gives your taste buds a real party! Fresh Choice Nelson is currently exclusive stockist of Wash Creek organic meat; you can visit their website here, or find them on Facebook. It’s The Grocer’s latest article from our wine expert, Neil Hodgson, this week Neil is talking Aussie red wine! 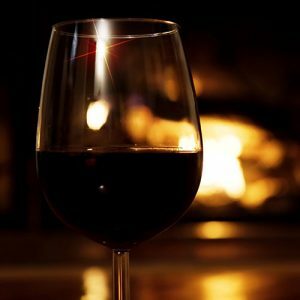 Winter has been late arriving but it looks like we are headed for some decent cold weather and that means two things, satisfyingly warming foods and rich red wine. Winter is the perfect time to open a bottle of deep, rich Australian red wine; something from South Australia that has big, ripe fruit flavours, fits the bill nicely. In January and February temperatures in the Clare, Coonawarra, Barossa and McLaren Vale hit the 40-degree mark for days on end and these high temperatures are a key to deliciously intense fruit flavours in Shiraz and Cabernet Sauvignon grapes the region is famous for, to the point of being almost jam-like in intensity. Some of Australian’s best and most expensive wines are produced in South Australia, wines like Penfold’s Grange and Henske Hill of Grace that both sell for many hundreds of dollars a bottle come from Barossa but because the state is so big a wide range of delicious everyday drinking wines at really good prices are readily available. The Grocer at Fresh Choice has a big range of fruity treats for you to choose from including wines from the ever reliable Taylors, Wynns, Wyndham Estates, Wolf Blass and Wirra Wirra in the very affordable $12 to $20 price range. The Taylors Shiraz made from fruit grown in the Clare Valley will cost you $15.99, a $3 saving on normal retail, and is a wine simply packed with big, ripe berry and plum flavours with a delicious twist of soft chocolate to add complexity. Sister’s Run Shiraz from McLaren Vale is on promotion for $19.99, a saving of about $6, and a glass is almost as good as being wrapped in a nice woollen blanket in front of a roaring fire. 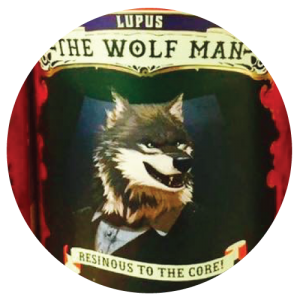 Rich, chocolate covered berry fruit flavours with silky tannins make it seductively easy to drink. For a nice warming winter red to pair with a winter casserole pick a wonderful rich red from South Australia.